I remember being blown away by the artwork on this game when I first saw it at the Hampton Park Bowling Alley. 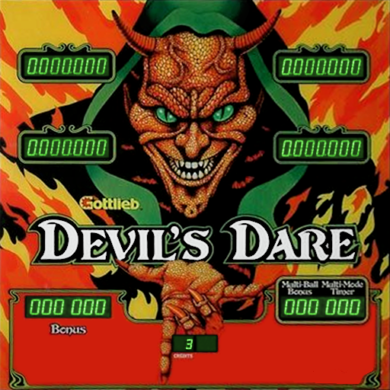 Although it was a very difficult game, it drew me back time and time again with its unusual playfield layout, the reverse back hand upper flipper, and its difficult to achieve multi-ball mode. Combined with its awesome sound track and sound effects, this game has always been one of my all time favorites.